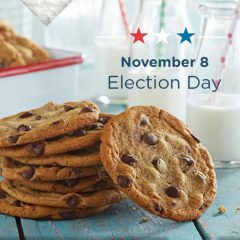 Show “I Voted” sticker Tuesday for free Krispy Kreme Doughnut, Coffee, Cookie, Queso, Mac N Cheese & more. 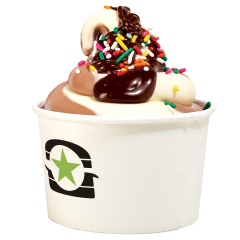 Go to BurgerFi in costume on Halloween & get a free small custard. 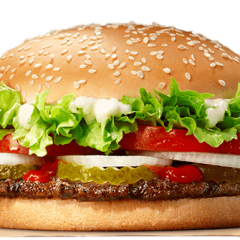 FREE Whopper and Croissan’wich (BOGO) when you download the Burger King App. 50¢ corn dogs all day on Halloween at Sonic Drive-In. No limit, no coupon required. 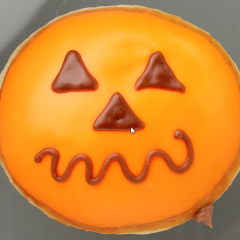 On 10/31, Krispy Kreme is giving a FREE doughnut to anyone in costume. Buy one Sbarro XL slice from their NY Pizza Menu and get another one for free. Noodles & Company has three new Mac & Cheese dishes: Bacon Mac & Cheeseburger, Buffalo Chicken Mac & Cheese and BBQ Pork Mac & Cheese. Get one free with coupon.